Hollywood /ˈhɒliwʊd/ "is a district in the central region of Los Angeles, California, in the United States. It is notable for its place as the home of the entertainment industry, including several of its historic studios. Its name has come to represent the motion picture industry of the United States. Hollywood is also a highly ethnically diverse, densely populated, economically diverse neighborhood and retail business district. Hollywood was a small community in 1870 and was incorporated as a municipality in 1903. It merged with the City of Los Angeles in 1910, and soon thereafter a film industry began to emerge, eventually becoming dominant in the world." "The US film and TV industry has perpetuated derogatory images of Asians. But a sitcom about a Taiwanese-American family is looking to change that, reports Tom Brook." 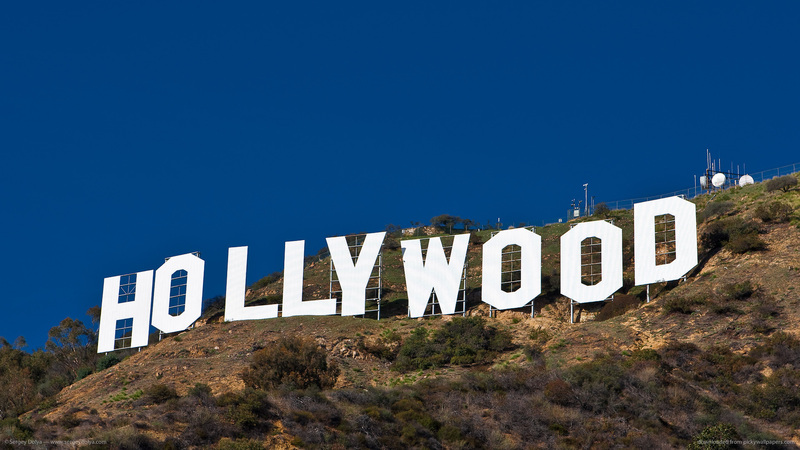 The cinema of the United States, "often generally referred to as Hollywood, has had a profound effect on cinema across the world since the early 20th century. Its history is sometimes separated into four main periods: the silent film era, classical Hollywood cinema, New Hollywood, and the contemporary period." The Hollywood Walk of Fame "comprises more than 2,500 five-pointed terrazzo and brass stars embedded in the sidewalks along 15 blocks of Hollywood Boulevard and three blocks of Vine Street in Hollywood, California. The stars are permanent public monuments to achievement in the entertainment industry, bearing the names of a mix of actors, musicians, directors, producers, musical and theatrical groups, fictional characters, and others. The Walk of Fame is administered by the Hollywood Chamber of Commerce and maintained by the self-financing Hollywood Historic Trust. It is a popular tourist destination, with a reported 10 million visitors in 2003." "The story Hollywood Center Studios parallels the history of Hollywood itself. Founded in 1919, the studio has been home to some of the most memorable film and television productions ever made." Following the lives of Weiss family, an archetypical Hollywood dynasty, Dr. Stafford Weiss is a psychotherapist, who has made a fortune with his self-help manuals; his wife Cristina manages the career of their thirteen-year-old son, Benjie, a child star..."
"Sometimes Steve Wolf gets blown up or is set on fire. But he claims his job is not really dangerous at all. He works as a stuntman and a special-effects expert for movies and television. He says his breathtaking activities result from science. And he likes to share that science with school children."